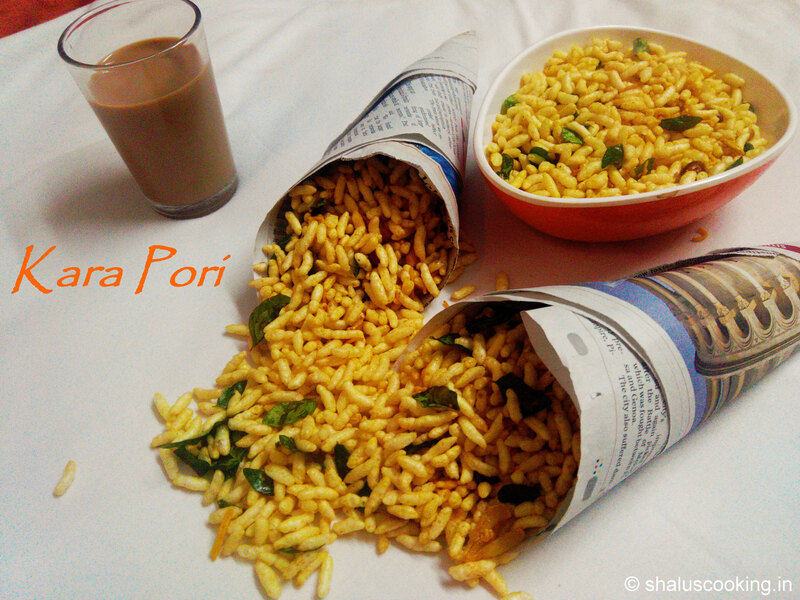 Kara Pori, this is one of the simple and easy tea time snack. When you feel lazy to prepare a snack yet you want something to have with tea... then you can choose this kara pori. This can be made in just 10 minutes. This pori will be little spicy as the name suggest. If you want it less spicy, you can try my other recipe "Masala Pori" which will be very mild so that even kids could enjoy it. I have added garlic in this recipe too as I like it, you can skip it if you don't want garlic. Curry Leaves - 4 Sprigs. 1. Keep all the ingredients ready to make Kara Pori. a. Peel and roughly crush the garlic cloves. 2. Heat oil in a kadai, add the crushed garlic cloves. Saute for a minute and add the curry leaves. 3.Saute till the garlic starts to changes to light brown color. Add the peanuts and saute for few more minutes. 4. Once the peanuts are nicely roasted, add the turmeric powder, chilli powder and salt and mix well. 5. Add the Puffed rice and Sev. Mix it nicely till the masala and garlic mix is well coated on the puffed rice / pori. 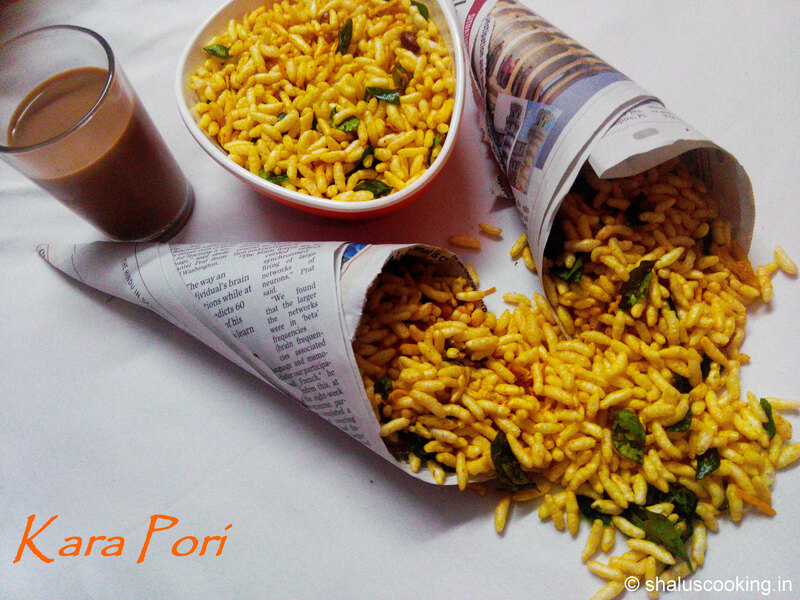 Fry the puffed rice for 2 to 3 minutes, so that it will become more crispy. Switch off the flame. Spicy and crispy Kara Pori is ready. Enjoy it with a cup of coffee or tea. You can adjust the chilli powder according to your taste.